Hehe, gotcha! No… and never will be. Shuchi Kalra is the new Indian Sophie Kinsella and ‘Done With Men’ – published by Indireads – is her debut novel. Remember how we loved Kinsella’s books? Hey wait – SK and SK? What a good omen! You know Mi, “Done With Men” is not just written well – I am proud to say that I didn’t read it with an editor’s mind after the first few pages. No I didn’t need a pencil waiting to pounce on a grammatical error. I just sat back zoomed the font on my screen and settled to read. 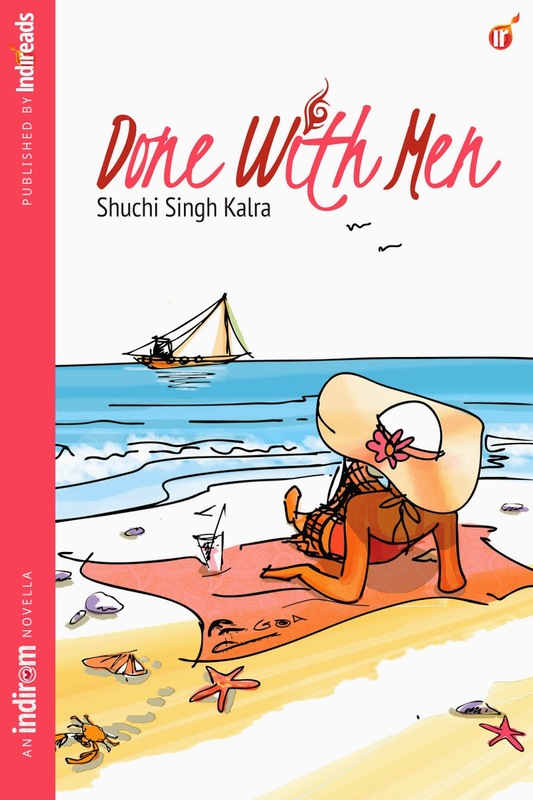 So let me give you a quick glimpse into the storyline of Done With Men by Shuchi Kalra. Hmm. So the book starts with a hospital scene where Kairavi Krishna, our heroine has landed following an amusing accident (amusing for us, not for her) during which she’s managed to get an intriguing tattoo, which, along with her attire during the accident is a source of much amusement. Kairavi, with her Thought Bubble (the equivalent of our doppelganger clad in white, who tends to poke her nose at the most inappropriate times often with unwanted advice) takes us along the fun journey of her recovery, where she manages to fall in love with her attractive doctor, nicely supported by her best friend Baani, Baani’s staid boyfriend Kapil. I don’t want to say too much about the book and spoil the fun – just let me say that I thoroughly enjoyed Shuchi’s writing style, her metaphors, the language and the presentation. One can’t help liking all the characters in the book, except maybe the ex-boyfriend – but then, unless he’s bad, how does Kairavi get the good doctor? So yes, I think Shuchi has drawn the characters really well! And it is a totally believable story! The book is a quick read, Mi – about 150 pages and progresses pretty fast. No ‘zzzz’ moments at all! Damn, I found myself reading it on my phone – something I never ever do – while stirring the sambhar on the stove. If you’d been here, you would have made me read it to you! In fact, when I started reading the book, I kept highlighting parts that made me laugh. A few pages later I quit highlighting – I figured there’s no point highlighting the entire book. My idea was to quote from the book – but short of reproducing the book here (bad idea) I decided to just chill and recommend the book to anyone who enjoys an easy read that will make them laugh out loud. A lot. Just goes to prove that there’s nothing like a good sense of humor to brighten your day! Thank you Shuchi for a delightful debut! ‘Done With Men‘ (chicklit/romantic comedy) is available for free on Amazon today – 12th Feb.
And may I personally request you to please post your review on Amazon/Goodreads? Thanks! I encourage you to buy the book if you are reading this after Feb 12. I’d be eternally grateful to you for supporting my friend Shuchi, the Author. Because she rocks. The book releases on Feb 14th and is being published by Toronto-based publisher, Indireads. Post launch, the book will be made available on various distributions channels such as Flipkart, Barnes & Noble, Smashwords, Pothi and the Indireads website. 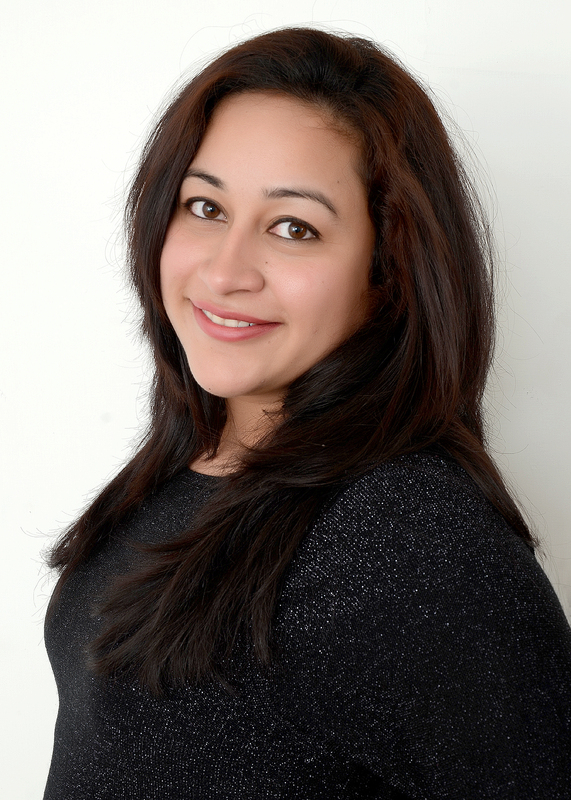 ​ Shuchi Singh Kalra is an Optometrist turned writer, editor and blogger based in India. She has been writing since 2005, and has freelanced with popular magazines such as Femina.in, Good Housekeeping, Home Review, Parent & Child, Vista, Dogs & Pups, Women’s Era and Time ‘N’ Style among many others. Her short stories have found a place in anthologies such as “Love Across Borders” and New Asian Writing’s upcoming collection (to be published in 2014. She also writes a monthly travel column for Investors India. She owns Pixie Dust Writing Studio, an editing firm that services a global clientele, and the Indian Freelance Writers Blog, a fast-growing resource for Indian writers. A self-confessed travel junkie, she now leads a happily nomadic life with her fauji husband and livewire toddler. So have you read the book? What is your impression? I have downloaded it and never got around to read it, will do now…post your wonderful roundup. I liked how you involved your mi in this book. Great! Vidya, it’s time you wrote a book, if you haven’t already 😉 Loved your breezy review, it sounds like a great book. This was indeed fascinating, my human friend. And Shuchi, I’m now a starstruck fan of yours. Vidya, of course, I’m already a starstruck fan of yours. I will be completing it soon! Don’t you love it? 😀 Great to see you Tanvi. Lovely and sweet review, Vidya. I enjoyed the book thoroughly and, in particular, Thought Bubbler. It’s a killer.